My thanks to the great Cinabar of Foodstuff Finds for once again sending me some yummy U.K. candy to try. 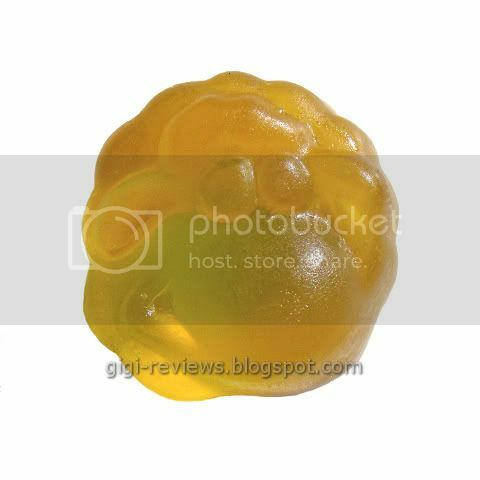 Amongst all the wonderful things Cinabar packed into my latest box of goodies was this little pack of gummies (or "jellies," for those of you on the other side of the pond). 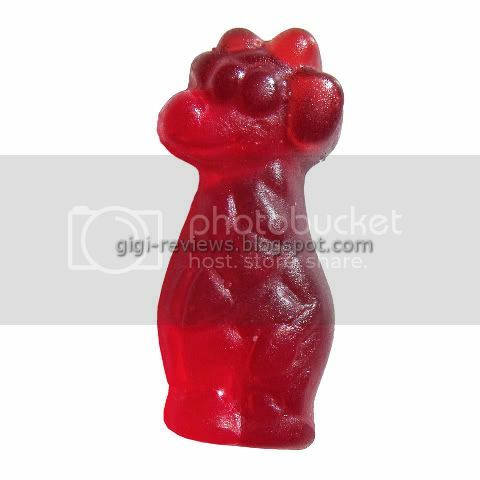 What caught my attention -- besides the bright colors -- was how soft the gummies felt through the package. Also, the shapes on the package reminded me a lot of some of the fun Asian candies I have seen online at sites like J-List or at stores like Ranch 99 or Kam Man. My package also had this little gnome guy on it (has to do with a contest the company is running) that reminded me of the Travelocity "Roving Gnome." I was really hoping there would be a gummy gnome in the package because I liked the idea of posing him Flat Stanley style next to random objects. Part of the fun of the candy is that each bag is a random mix of gummies and you never know what you are going to get in any given bag. Sadly, there was no gnome in mine. Purple: This one had a taste that was sort of grape, sort of raspberry, sort of...currant, maybe? It's a good, juicy, fruity flavor even if I couldn't pin it down entirely. Green: I was hoping for green apple -- but instead, it's lime. 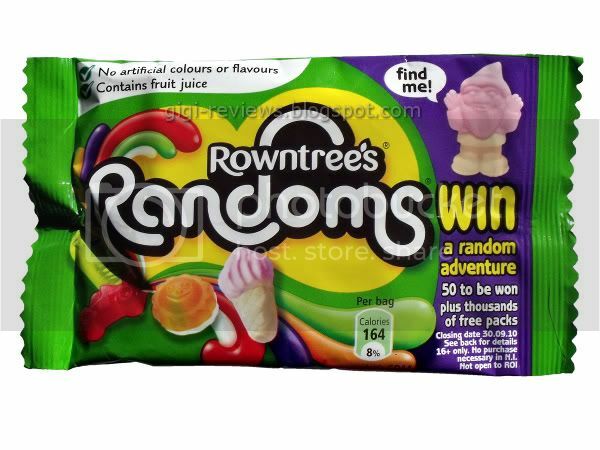 I give Rowntree points here. It's a completely artificial lime, but they still manage to avoid that industrial cleaner taste most fake lime has. 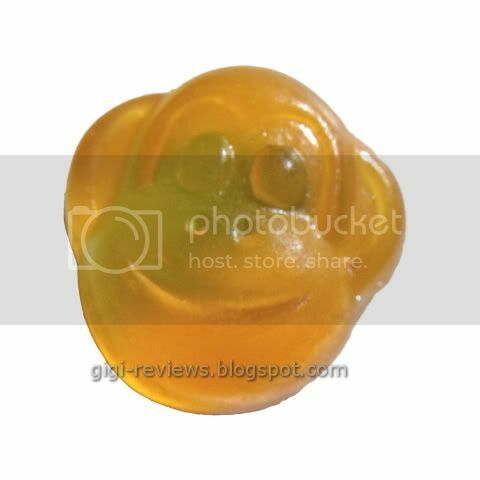 Instead, it's like a gummy version of green doctor's office lollipops. Orange: Zesty, but a little bit sour. 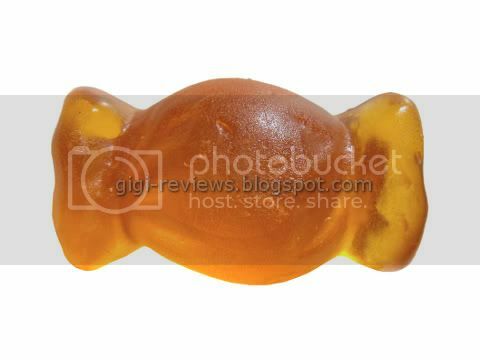 Sort of like a gummy version of unmixed orange juice concentrate. That probably doesn't sound great, but it tasted really good. Orange/White: This one is a combo of gummy and "foam" or cream base. It has the same great flavor as the orange in the orange part (big stretch there). The white foam/creme has no taste as far as I can tell. Yellow/White: The yellow is lemon. 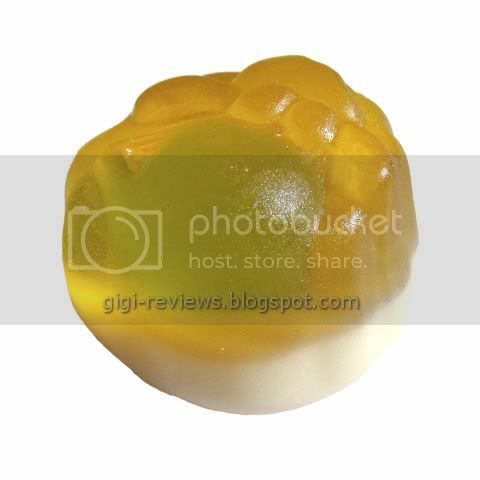 This may be the best gummy lemon ever. It's fresh and vibrant. Granted, it's not quite natural, but it isn't completely fake either. Once again, the white base is tasteless. Red: This was the lone flavor I didn't like. It was cherry, and it tasted like cough syrup and "red." But the color was quite pretty. Lighter Red/White: I think this was supposed to be strawberry. The strongest flavor was simply "red" from the food dye, but it didn't have the same cough syrup taste that the plain red had. The white base, again, is tasteless. 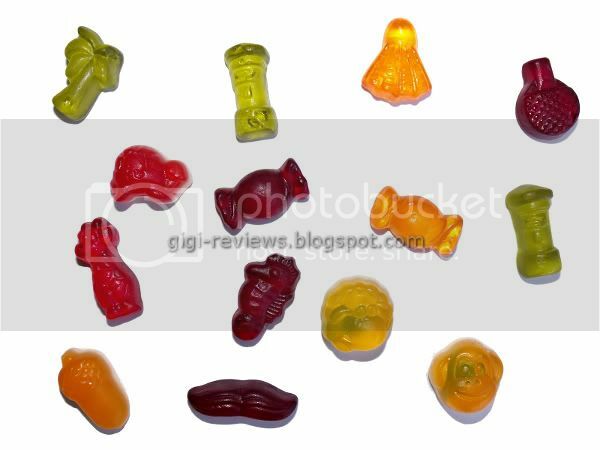 The texture on all of the gummies, regardless of flavor, was a very soft, chewy gel. 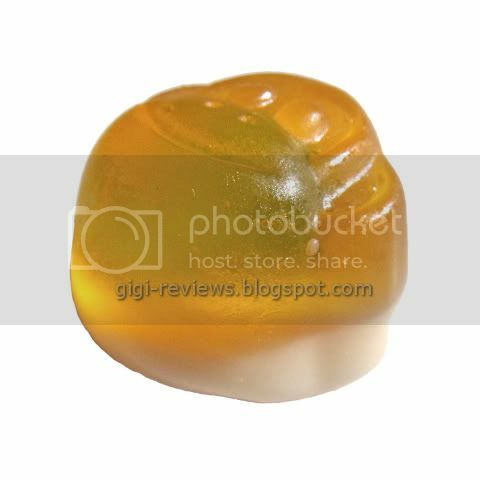 The only difference with the gummy/cremes is that the creme base is harder and less chewy. As a whole, this is a really fun candy. The shapes are cool, and they're very well molded. The flavors (besides the red) were really good and the texture was perfect. Hey Nestlé, we need our version of these! 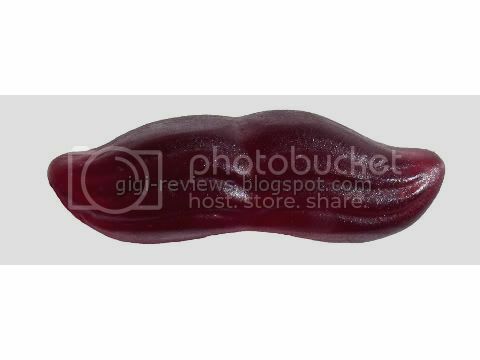 Be sure to check out Cinabar's review here. Contains gelatin, and may contain traces of dairy. 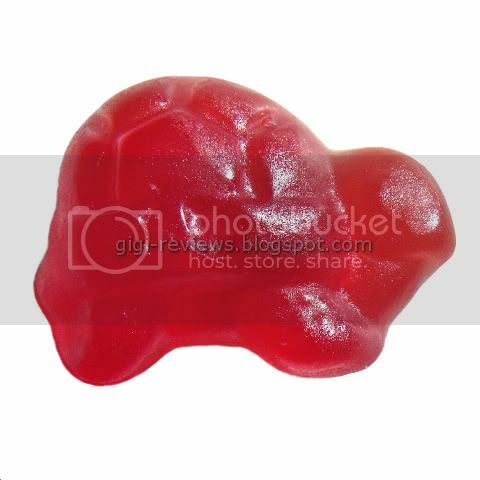 Labels: Berry, Cherry, Fruit, Gelatin, Gels, Grape, Gummy, Imported, Imported Candy, Lemon, Lime, Nestles, U.K. Wow!!! So glad you liked them! The purple jellies are blackcurrant - standard 'purple' flavour over here. You gave an excellent description of its taste though. I wonder why purple is blackcurrant for you guys but grape for us? have you noticed if "green" colored candy has started to become more likely to be green apple flavored rather then lime flavored there as well? According to wikipedia it is because growing blackcurrants was banned in America as the plants had some disease which affected the logging industry, so the flavour lost popularity. This does not explain why we can't have grape over here in the UK? 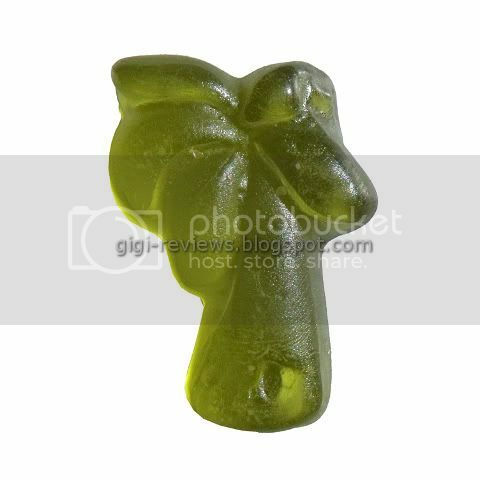 As for lime - big commercial brands tend to produce green candy as being lime. 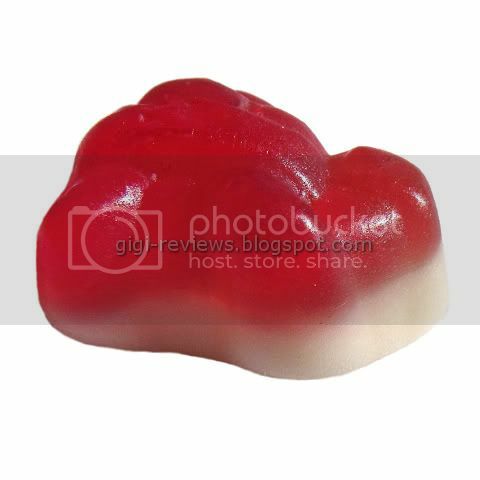 However apple is very popular as flavour, but is more often found in traditional sweets. Have you ever tried "Rosy Apples"? Yum!